Technological advances have transformed many household devices. It has fused phones with computers, given appliances the ability to talk, and created omnidirectional speakers that are a smaller version of Skynet. In the olden days of choosing a speaker, all you had to do was compare sizes. The bigger the speaker, the louder the music. In today’s world, such a decision is more complex. 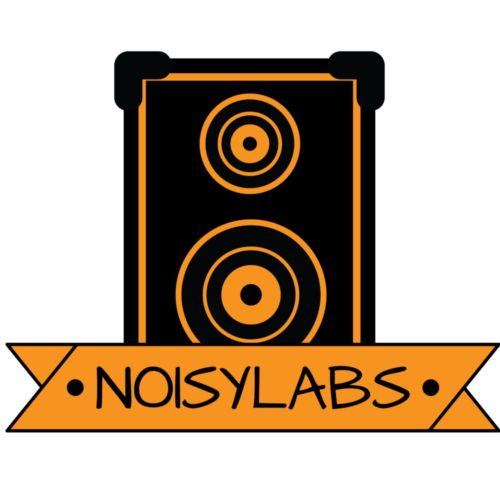 Speakers define themselves by placement, sound direction, wifi capability, Bluetooth capability, size, and their indoor/outdoor capability. Choosing the best omnidirectional speakers doesn’t require a degree in computer science because all it takes is a terrific guide that showcases everything one needs to know. The speakers mentioned here are top of the line alternatives to big names like Bose and Beats. They fit all the standards meant for functional speakers and also boast a reasonable price tag that doesn’t require a mortgage on your house. These speakers are also just music playing devices and they don’t talk back to you like Alexa. Many have voice activation, but none contain a creepy digital assistant with an overly mellow voice. Omnidirectional vs. directional is a choice many have come up against. And the answer is yes, yes there is. Omnidirectional loudspeakers send sound in every direction which is why they’re given the prefix omni. Directional speakers fire sound in only one direction. There is not much more to the difference than that. Omnidirectional loudspeakers create the feeling of a sound stage no matter where they stand in the room. Omnidirectional speakers also connect to their player devices through wifi. 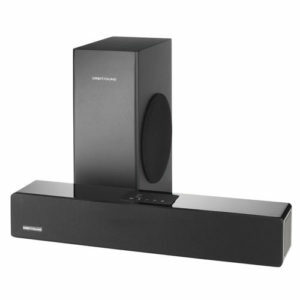 This is a significant advantage in the battle of omnidirectional vs. directional speakers. Most directional speakers do not contain Bluetooth connections as they aren’t smart speakers. They are traditional speakers that just plug into a sound system. Omnidirectional speakers are members of the smart technology family. This means that they connect to portable devices. Omnidirectional speakers also contain voice activation and the ability to act as a phone. They are independent systems in their own right and not the lifeless arm of a bigger entity. First on the list is the UE Boom. We’ve talked about the UE Boom before in other posts because of its versatility. Backed by a wealth of positive consumer reviews, the pill-form speaker delivers optimum power for an agreeable price. UE Boom fits the basic criteria for best omnidirectional speakers; it has optimum power, great sound quality, ability to hit low notes, a long-lasting battery, decent range of connectivity, portability, and indoor/outdoor capability. Like most omnidirectional speakers, the UE Boom family connects physically and virtually to portable devices. The disadvantage is a popping sound created when cranked up past 80% of its available volume. The UE Boom also has an upgraded version recently released called the UE Boom 2. The UE Boom 2 is an upgraded version of its predecessor with extended range. It bears the same quality in sound but lacks the battery power of the original UE Boom. UE Booms are only able to connect to devices via Bluetooth or USB. They can also be a floorstanding loudspeaker or a phone loudspeaker. One unique trait that UE Boom speakers possess is a pairing capability with Bluetooth enabled devices. Up to 8 different devices can connect at the same time, allowing more than 1 person to play their respective playlists. Imagine trying to be the DJ for that party. UE Booms also come with Siri or Google Now voice control. In addition, they’re both shock and waterproof so accidentally dropping them in the pool won’t hurt. Orbitsound speakers are an unknown guest at the 360 speaker party, but they’re impressive nonetheless. They carry a unique design and a great mid-range sound quality. Orbitsound speakers are also durable, easy to use and provide crisp omnidirectional sound. The only drawback is they don’t handle low notes as well as the competition. Other than that, they have the portability to go anywhere, connect via Bluetooth/USB, and are built with a durable frame which possesses a unique charging capability. Orbitsounds charge via a base charger. All one has to do to charge an Orbitsound is place it on the base charger which removes the need for connectors. The battery lasts for a good 14 hours and only takes 2 hours to charge. 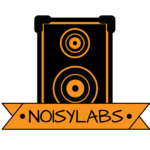 Orbitsound also uses something called NFC, which stands for near field communication. This means the speaker emits a wireless field that wifi devices instantly connect to. 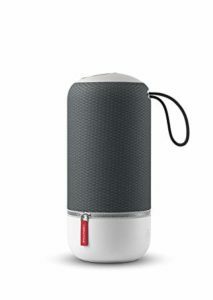 Libratone ZIPP Mini focuses on the portability aspect of 360 speakers. It’s a smaller version of the popular ZIPP complete with all the features its daddy possesses. ZIPP Mini has dual connectivity meaning it does not require just a Bluetooth or Wifi connection. It also has a good bass range that goes deep. Its full midrange precision and crisp high notes come with no popping. The 60-watts of power omnidirectional speaker uses a 360° fullroom acoustic sound to cover every inch of your surroundings. A great feature of ZIPP minis is that you can tether up to 6 of them together. Despite its increased versatility, ZIPP minis are not as sturdy as other Omni-speakers, so outdoor use is not recommended. ZIPPs do make an ideal indoor speaker as their tether feature is used for a complete indoor sound system. If you’re going to place it indoors, place one in every room and you can have music play throughout the house. B&O is a more sizable speaker built like a box. Much like a smallish cooler one would take the beach. It’s made of strong aluminum and hard plastic making it an ideal outdoor speaker. The speaker offers 360-degree peak sound, it also has dual bass radiators and a 24-hour battery. It may not be as sleek as the other speakers mentioned, but it makes a good floorstanding loudspeaker. Devices can either connect using a USB or Bluetooth. The B&O possess no real drawbacks except for its heft and bulkiness. Overall, B&O Beolit speakers have a stereo quality to them. Also, being able to connect to a stereo speaker is a great plus. This means you can have a fully capable sound system at home and take them with you wherever you go. The speakers are even used as a phone so everyone can hear the conversation. Despite having a ridiculously long name that sounds like an inspirational internet meme, the TDK brand of speakers is always a reliable choice. Like the UE Boom speakers, they’re both water resistant and shock resistant. TDK gives 360 degrees of powerful quality sound. It has both clear bass lines and a clear high pitch. Like B&O, TDK has NFC allowing nearby devices to easily pair with it. It has a sleek pill design that makes it easy to transport and place. TDK also has a few drawbacks, chief among them being battery life. The actual life of the battery also doesn’t last long. In comparison to other speakers, it’s not good. TDK also has a dodgy Bluetooth connection. This makes it difficult to pair from time to time. This speaker is unique because it looks like a milk bottle. 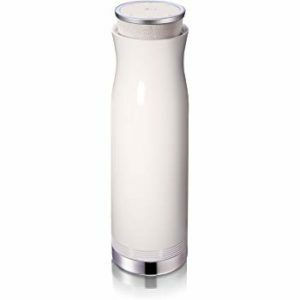 The sleek 360 cylindrical design is great for aesthetics. 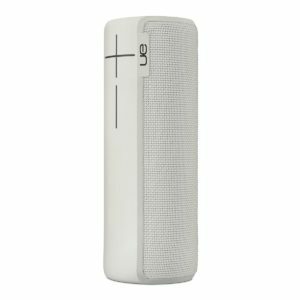 LG also delivers on performance with a strong speaker that delivers crisp sound in a sonic spectrum. This means that LG delivers a more authentic sound than the other speakers on this list. MUSICflow also allows multiple device pairing, but only up to 3 instead of UE’s 6. In addition, it has the tethering capability of a ZIPP, but with only 1 more device. The difference here is that this other device doesn’t necessarily need to be a speaker. The MUSICflow can pair with other wireless devices if they’re compatible. A great feature for this 1 only applies to owners of an LG TV. 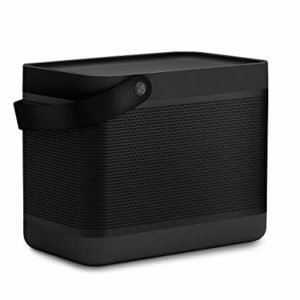 Many LG TV’s pair with this speaker as well, allowing it to become a nifty portable entertainment center. LG MUSICflow handles baselines well, is good for higher pitches, contains an impressive 24-hour battery, and NFC pairing. The controls for the MUSICflow actually pop up from the top. In minor cases, this feature has jams up rendering the control unreachable. Omnidirectional speakers are the way to go if you are looking for a speaker that radiates sound in all directions. They’re meant for much larger space and are usually on the higher end but the sound production can’t be beat. Let us know in the comment section below for any other omnidirectional speakers you would recommend yourself.